In line with our commitment to sustainable development, we have set up three community-run kitchens to provide food for our factory and agricultural staff. 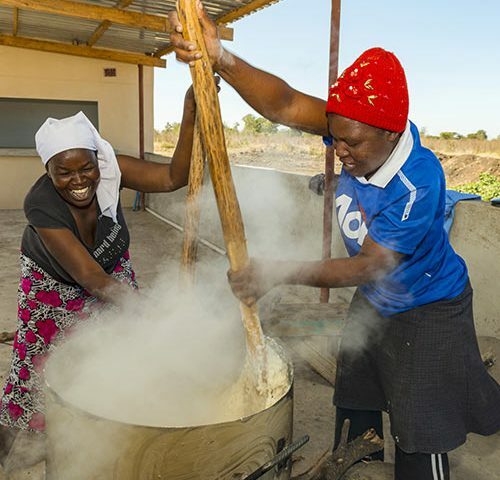 The kitchens were built and stocked by the company and then handed over to three groups of ladies from the community to run and derive profits from. Thus far the project is working extremely well and the participants have taken full ownership of their kitchens.